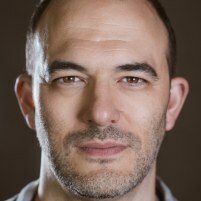 Matthieu Cornillon leads the Agile practice at Amplify, a Brooklyn-based education technology company partnering with teachers to help them do their nearly impossible and utterly essential jobs, by extending their reach, saving them time, and enhancing their understanding of each student. Through most of his career, Matthieu has worked on trying to help people work more effectively, whether through building tools or tweaking processes. Over the last decade, he has shifted his focus from directly creating products to helping coach others in doing so. He values a strong theoretical understanding of Agile, Lean, systems thinking, and other ideas, but believes it important to marry that with lessons learned through hands-on experience in getting things done. For Matthieu, that experience has spanned film and theater, software development, project management, political activism, and renovating his 150-year-old house. Although currently on hiatus to bring up his two young daughters, Matthieu is also a professional actor. Read his blog at growingtruffles.wordpress.com and follow him on Twitter @growingtruffles. Eric Ries’ “The Lean Startup” has made a huge impact. But many people shy away from its tenets because they don’t work in a startup. Although Ries mentions some of the ways that his thinking applies even in established companies, his primary focus understandably rests on the true startup. Through working with teams in my company on a portfolio ranging from greenfield development to 15-year-old legacy products, I have uncovered some practical techniques for applying Ries' core ideas on teams at any phase of the product life cycle. Earlier this year, I led a half-dozen eight-week-long study groups in close readings of Ries' book. Despite rich conversations and lots of light bulbs going off, I was worried: in a year, would anyone remember more about the book than that its cover was blue? While people liked the ideas in the abstract and even saw how they applied in concrete examples in the book, they felt lost trying to apply the thinking to our work, especially since we were not working in a prototypical start-up. I began looking for ways to apply these ideas practically, in every sprint, even on teams working on legacy products. I focused on the generic idea of validating hypotheses. While this was somewhat familiar to teams working in an Agile context, people struggled to find hypotheses to test in the first place, and then to design lean experiments aimed at testing them. They kept coming to the same place: "The only way to test this is to build the whole thing and see what happens." Surely, this couldn't be a simple fact we had to accept because we worked with big complicated, non-consumer products beyond the start-up stage. I began building exercises and techniques for tackling these problems. By testing these with teams and observing the traps we continued to fall into, I tweaked these to be more effective. In this talk, I'll discuss the underlying ideas, the two practices I have come to believe are crucial (first finding hypotheses and then testing them leanly), and run activities that give people a chance to try applying them. You know these principles from the Agile Manifesto, but are you taking them as far as you can? In his book “Reinventing Organizations”, Frederic Laloux writes about organizations who have successfully pushed past conventional boundaries in three broad areas. One of those areas is self-management. Scattered around the world, and in a great variety of industries, the companies Laloux profiles have explored radical self-management, achieving incredible things despite removing all positional authority. Or, in English: rocking it with no bosses. This is challenging enough when you build a company with this approach from the ground up; but how do you make the shift in an established company? In this talk, I will focus on my company’s adventures to date in breaking through boundaries of self-management. For those of you familiar with Laloux' book, here's a little more detail. We were particularly inspired by the stories of FAVI, a French car parts foundry, and Buurtzorg, a Dutch home nursing organization. We were impressed by the simplicity of their structure, and it appealed to us because they, too, work in small teams. But we saw one major problem: the length of feedback loops. In their businesses, the value chain--time from idea to delivery--is quite short. But in education, the difficulty of finding time with users, the length of the procurement cycle, and the need to go through one-year or longer studies to verify the validity of our methods means that the value chain is extremely long. We were wary of some of the heavier processes we had heard about in the Teal world, and wondered if we might forge some new ground: very lightweight process allowing true self-management, wholeness, and evolutionary purpose in a team-based organization with long value chains. One piece of the puzzle was offered by the presentation given by Amber King and Jesse Huth at AgileDC 2016. They talked about a process for teams to self-select across a larger organization. I remembered their point that people made their choices first based on what was good for the organization at large. But that left us with the question: how would people know what was good for the organization at large, especially with extremely long feedback loops? We had seen people inadvertently go many miles down a bad road before; why would it be any different here? So, we launched a pilot aimed at exploring a few other key elements, which we hoped might fit together to build the lightweight solution we dreamed of. In addition to offering some background for folks new to Teal, this talk is about the design, running, and results of that pilot, and some of the things we learned about ourselves along the way. Developed by Alistair Cockburn, this amazing workshop seems to be about learning how to slice stories extremely thinly, but with every round I've run proves to be so much more. After group discussions of why small stories are a good idea, value delivery curves, and techniques for splitting stories, participants build a backlog for a small application. Then, in five eight-minute sprints, they build it! The workshop typically closes with rich conversations about the experience and how participants will apply it to their work. For Agile Games 2015, I would like to extend the session to help others learn how to facilitate this workshop. I believe it is a must-have in the toolkit of every coach working with software developers in an Agile context. While you can use Cockburn's instructions or Henrik Kniberg's excellent facilitation guide, I'd love to help people get a head start through experiencing the workshop and talking to someone who has run it before. As an Agile Coach, I use games to demonstrate concepts to teams. Games take otherwise theoretical ideas and help teams feel them in their bones. Once they've gone through a demonstration, the air is ripe for further exploration through conversation. Sometimes, though, you don't have the right game for the particular problem you are trying to address. Fortunately, as Mary Poppins points out, there is fun in every job...it's just a matter of finding it. We all have experience making our own work fun, and I think that's what puts creating games in everyone's reach. In this workshop, I'll share how I've gone about building games, and each participant will have a chance to build their own. Note: I am calling this workshop a spoonful of sugar, not a bowlful. While I love using longer games/workshops (like Alistair Cockburn's brilliant Elephant Carpaccio), I just can't grab the team for two-hour chunks of time all that often. In this workshop, we'll focus on much shorter games that you can sneak in during a slow day, or in that hopeful moment just after sprint planning is completed. These smaller games tend to isolate much simpler, smaller concepts. I believe that a steady diet of these easy-to-digest games really helps teams incorporate the concepts in their daily work.